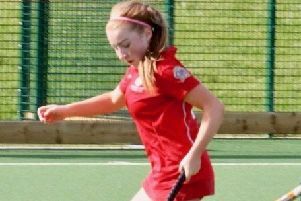 Garstang Hockey Club’s first team overcame an uncertain start to claim victory against South Lakes on Saturday. They were without four senior players and it showed as it took 10 minutes for Rebecca Worthington to break into the Lakes ‘D’ and score a goal with a powerful, raised shot on the turn. Lakes fought back and succeeded in holding Garstang’s pacy youngsters, disrupting their passing game. Garstang came close with a good move at a penalty corner but it was Lakes who scored after 25 minutes following a ping-pong session in front of goal. However, senior duo Donna Richardson and Lyndsey Hayes stepped up to deny Lakes the midfield and steady the youngsters; a move which paid dividends on 28 minutes. Garstang won a second penalty corner which saw Fran Summers score from Worthington’s pass. Encouraged, Garstang then cut loose and most of the pressure was on Lakes. Seven minutes into the second half and Lucy Treadell scored from Grace McGarvey’s pass to make it 3-1. A penalty corner then saw Worthington place a fine reverse stick shot high into the net before Summers scored again to give Garstang a 5-1 lead. Lakes won a penalty corner as the clock ran down but Garstang cleared well. Garstang’s seconds travelled to Windermere with a young and inexperienced team which, nevertheless, played some enjoyable and – at times – expansive hockey. They took a 1-0 lead with a well-worked penalty corner and shot by Josie Guthrie. Despite putting pressure on Windermere in the second half, they failed to score again but deserved their victory. The thirds drew 2-2 as they were at home against a Fulwood side, whose experience told with two goals in the first half. Garstang stormed back in the second with a goal from Pippa Chapman before she helped earn the draw with a shot deflected into the goal by mum Jude. 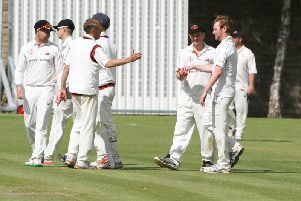 Elsewhere, the fourths were in action against a second-placed Brookfields team made up of adults. Garstang were under severe pressure in the first half, conceding five goals. However, in the second half, their younger legs did well and they held Brookfields to only two further goals. Thirteen-year-old Niyah Johnston came on for her first league game in goal and performed well, conceding only one goal in her 24 minutes and earning congratulations from the Brookfields keeper at the end.